I say allegedly, because Air China's flash sales have not really been reliable, especially in the last 4 or 5 months. Sometimes, the sale prices show up on their website but aren't actually bookable. The number of available dates also varies a lot with their sales. Sometimes there are very, very few dates available, or they are only available for really long trips (3+ weeks) - to the point where marketing it as a flash sale is outright deception. Their last few flash sales have mainly been a waste of time. ^^^ don't count on most of these date ranges to actually be available. Air China claimed a similar date range of availability for their last flash sale, but there were really only a few cheap flights available in November and early December. NOTE: Air China usually releases theses fares around 11:55 PM PST. In other words, you would need to stay up late on the night of Thursday, September 13th. 3. Search for a flight from Vancouver to one of the destinations listed above. - Use the flexible dates feature to try and find the $499 roundtrip dates. 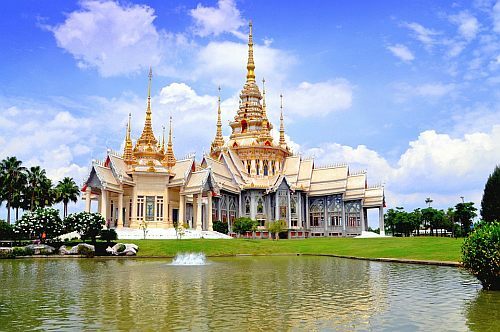 Bangkok, Thailand: Have seen lots of dates in the second half of March, all of April, and the first half of May for $498 CAD roundtrip. However the flights have a 17 hour layover on the way home. Delhi, India: Have seen dates for $498 CAD roundtrip. The flights have a 12 hour layover on the way home. Mumbai / Bombay, India: Have seen dates for $498 CAD roundtrip. The flights have a 12 hour layover on the way home. Tokyo, Japan: Have seen dates for $530 CAD roundtrip. The flights have a 5 hour layover on the way home. 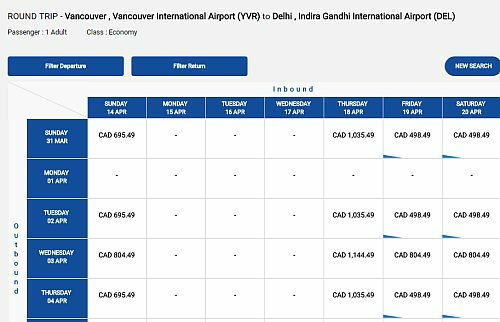 vancouver, yvr, flight deals, asia, east asia, tokyo, japan, hnd, nrt, bangkok, thailand, bkk, southeast asia, air china, mumbai, bombay, india, bom, south asia, del and new delhi. 8 Responses to "Another potentially terrible Air China sale: Vancouver to Japan, Thailand, India, or Seoul - $499 CAD roundtrip including taxes"
Hi. This sale does have quite a lot more days available, at least for my April 2019 search to Bangkok. Layover is horrible, but some may utilize it as a separate trip. Nothing in January or Feb to Bangkok, as far as I can see. I've posted an update to the blog post with available dates that I've seen. Unlike Air China's last few flash sales, this one does actually have some decent availability, but most of the layover durations on the way home are pretty brutal. The majority of available dates are concentrated in March, April, and the first half of May 2019. Just booked Tokyo for $530 RT in April. Worked perfectly! Thanks Chris! When I try multi-city open to extend the 'stop-over' to a few days longer, the price jumps up. Tried to call customer service and wait was really long... can it be done to maintain same price or Air China does not have that? Go to local agency? Where do I book flights to Tokyo? I couldn't find the cheap rate.